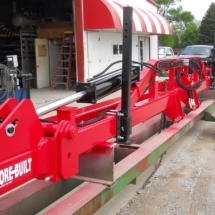 60' Double Fold Tool Bars - Made in the USA - Moore Built, Inc. 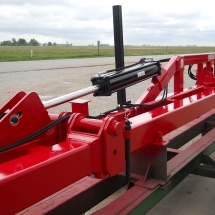 Liquid fertilizer applicator tool bar. 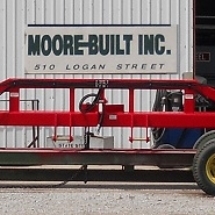 Double bar construction; 7×7 rear bar and 7×5 front bar standard, all 3/8″ wall tube with trussed main bar. 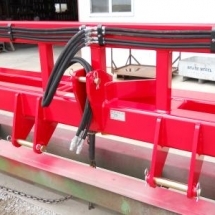 Can be customized for many other applications and row spacing. 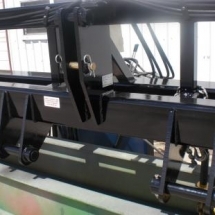 Double folding wings for fertilizer, cultivators and other applications. 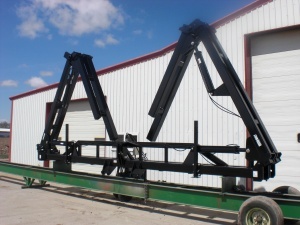 Double 7x7 toolbar with double cylinders for heavier units available. 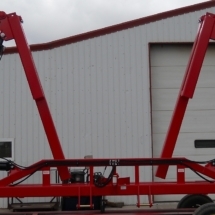 Double Folding wings fold to less than 22 feet for minimum transport width with a 10 row main bar. 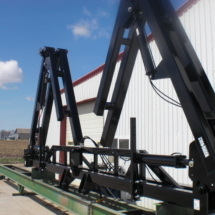 Double folding wings for anhydrous units, coulter units, and other applications. 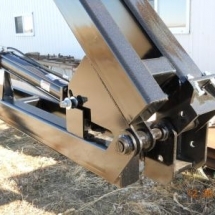 Heavy duty double wing hinges on center wing hinge point for maximum strength. 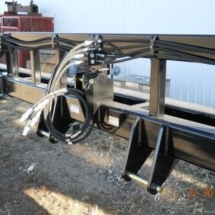 Trussed main bar to prevent bowing or sagging. 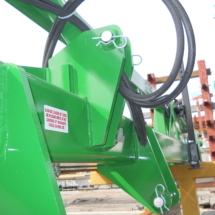 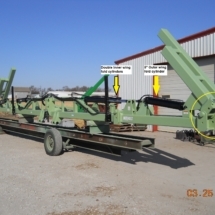 Available Category 4N/3W 3 point hitch option.